Whatever you ask in my name, this I will do, that the Father may be glorified in the Son. If you ask me anything in my name, I will do it. Are your prayers in line with the will of God? People love to use a verse like this to claim anything that they pray for. Yet Jesus makes a profound statement. God is not a cosmic genie who grants all of our wishes. For those of us who are saved Christ says that He will do whatever you ask in His name! This is not about saying, "in Jesus' name' when praying, but about the condition of your heart. Are you praying in Jesus' name? Are you praying for God's will? 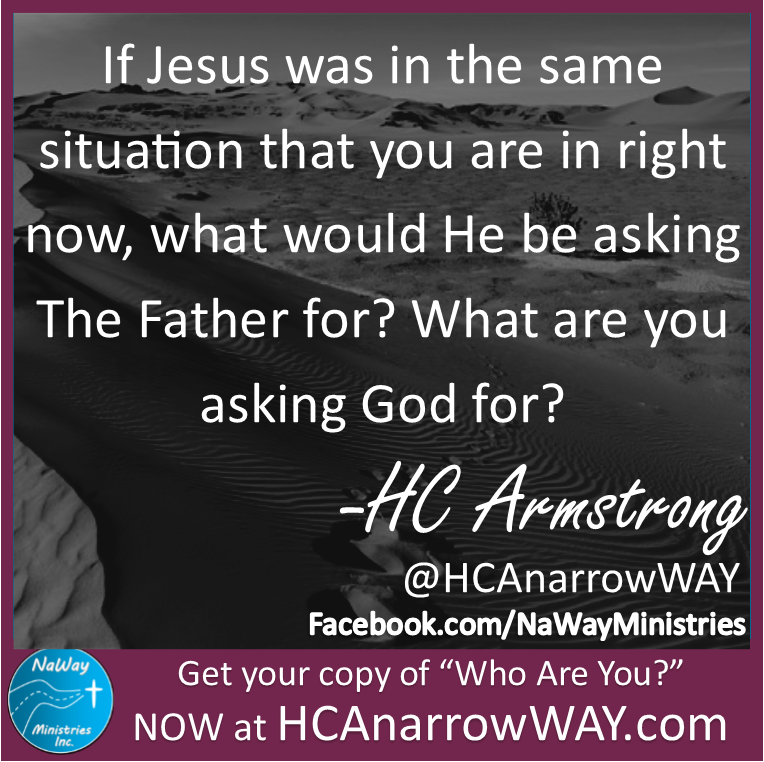 If Jesus was in the same situation that you are in right now, what would He be asking God for? What are you asking God for? Ask the Spirit to align your will with The Father's. Sometimes prayers aren't answered because God is working behind the scenes. Sometimes prayers aren't answered because we are asking for the wrong thing.